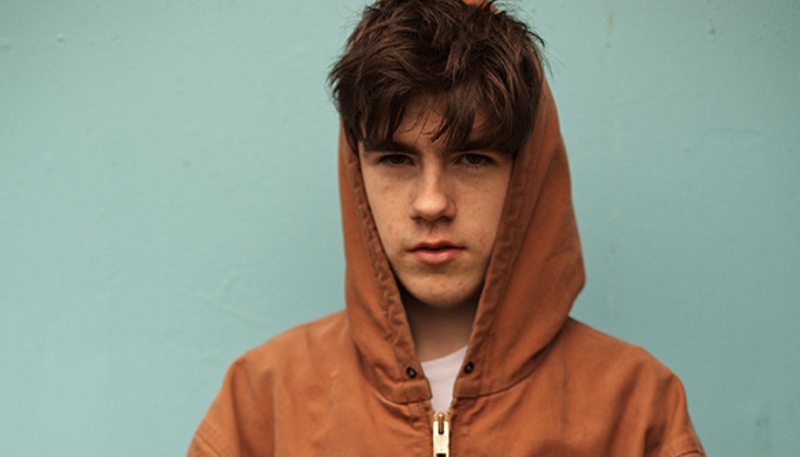 Since winning Glastonbury’s Emerging Talent Competition in 2015, Declan McKenna has made a name for himself with sunny-sounding, socially-engaged indie-pop tackling subjects as diverse as xenophobia and FIFA corruption. 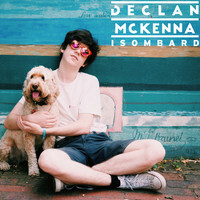 We called the 18-year-old singer-songwriter to discuss his journey so far, and to find out more about his forthcoming debut album. The one I always think about is probably the first proper concert I went to. It was in 2010, so I would have been 10 or 11. Anyway, I went to the Hop Farm Festival and I saw Bob Dylan and Ray Davies from The Kinks, and Mumford & Sons before they were the huge band they are now. I always think about that. I mean, getting to see Bob Dylan isn’t something everyone gets to do and to do it so young – before I really appreciated fully what he does and did – was pretty sweet. Relatively, yes. All of us have at least dabbled in music. My dad plays guitar, my mum plays keys and the flute and stuff, and a couple of my siblings are really into music as well. I have five older siblings so I’ve had a lot of people influencing me. What kind of music were you hearing around the house, growing up? I’ve been doing it for a long time. Me and one of my sisters and my cousin formed a band and would write songs when we must have been about eight, but I really decided to stick at it from maybe 11 years old. I was really trying to write songs and starting to listen to other songs and trying to improve through that. At this point in time, I’d say David Bowie, Jeff Buckley and Nina Simone. It’s been a little over 18 months since you won Glastonbury’s Emerging Talent competition. Just how mad has life been since? Presumably your life has changed completely? Yes. From February or March that year things started kicking off and then in April I won the competition. Everything has changed so much since, and it’s happened in a way that I would never have expected, especially so soon. I think it’s great to be able to do this rather than being stuck in school and doing stuff that I don’t really enjoy. At this present time, I’m only really worrying about things that will make me really happy and make me enjoy my life. I’m doing stuff on my own terms which I’m very happy about. So it’s been a great few months and I’m excited for releasing the album and all the stuff that comes after it. Where are you at with your album? I’m nearly finished. Now I’m back in the UK, I’ve got a couple more days of not doing anything and then I’m back in the studio running up to the end of the month. I think I’m going to do two more songs and then that will be it, really. So yeah, I’m very close to being finished and I’m just really excited. You’re working with James Ford on the album. How’s he to work with? Great. It’s cool working with someone who’s worked on some of my favourite albums. He’s really just improved all of the songs, and it’s been really, really, really fun working with him. But you can’t say whom? Your singles so far have been extremely varied. To what degree is that diversity motivated by a desire to prevent people pigeonholing you? I’d love to not be pigeonholed but there’s no way it’s ever going to not happen. Even the greatest of greats all had the start of their careers put into boxes or were told that they sounded like one artist or another. With all these crazy changes that have happened in the last two years when I’ve been writing this album, I just haven’t felt like I’ve had a stable enough world around me to make everything sound exactly the same. I think the album’s going to flow well but I’m trying to write a bunch of songs that I like, rather than focusing too much on things like genre, which I think a lot of bands get lost in. They’ll try to make their albums quite cool-sounding, but often get caught up in genre rather than the initial songwriting process. It’s clear from the lyrics of songs like ‘Isombard’ that you’re extremely engaged with politics. It must have been really interesting spending so much time in the USA this year, in the run up to the presidential election? Yeah, I was there when the election happened, on the day. Rather than being in my little north of London, Guardian-readers area and internet bubble, driving through Utah and Louisiana and Texas and seeing the genuine amount of support and people getting rallied up for Trump was kind-of scary. It was a tense time, that, but there was nothing particularly violent going on which was good. But it really puts things into perspective because I didn’t really fully understand the genuine support that Trump had in this election. So you weren’t as shocked as you might have been Trump being elected? I think I was still shocked. I still thought that it wasn’t going to happen. Me and my friends were saying how it could genuinely be like the plot of a TV show: the billionaire, glamorous dude who’s an absolute fool becoming president, but lo and behold. I still kind-of held onto the hope that it wouldn’t happen, but it did. What with that and Brexit, it’s been a pretty surprising year, politically. Are you ending 2016 feeling hopeful? I think I’m always hopeful. I think my generation is one to be hopeful about. Maybe again it’s from my own little social bubble, but I see a lot of my friends and their friends, and people around me who are young, and I see a lot of talent and a lot of people who want to speak out about things; artists like myself who want to make changes in the world. And I think people want change right now above everything. We’ve had the recession, and some people are looking for change in the form of things like Brexit or voting for someone like Trump. I feel like my generation is slightly more level-headed in the sense that we want change through ourselves and our own actions, if that makes sense? Like, making people think about alternative ways that we can make the world a better place. I think that makes me hopeful most of all; the younger generation. And once we get the vote then I think things will look up as well. Ideally, what age do you think people should be able to vote? I’d say, for realistic reasons, 16. But I think in an ideal world you would be able to get every single person in the country to just have a chat with someone and they can judge if they should be allowed to vote or not. But I don’t think that’s ever going to happen. I was maybe 14 I wanted to vote, and I know a lot of intelligent kids who are much more informed on these things than older people, so I think 16-year-olds should be able to vote. People are still holding on to that idea that age and wisdom correlate, but I know a lot of young people who are a lot wiser than older people, if that makes sense. Obviously not all, but I know a lot. And a lot of people who listen to my music reply to my tweets about politics, and they’re all obviously engaged and probably around my age or younger. Currently it feels like we see a lot of protest music in genres like rap and grime, but not so much in indie-rock. Would you agree? I feel very proud of grime in a way. I think grime is something that my generation – and people a bit older – can hold as their own. It stands up for itself as something that can be very self-sufficient and intelligent. But a lot of my friends make political art, or they’ll show me their assignments that they’re doing at school and it will be based on political things. I love seeing my friends doing well, and speaking out about things for younger people. So what’s the plan for 2017? When can we expect to hear the album? Next year is just getting the album out, I’m going to say in March or April. I’m not 100%, but I think around then. And then touring, probably for the full year, almost. There are going to be loads of festivals and lots of travelling, which I’m excited about. It’s just going to be really, really busy for me, which I think is generally a good thing.